Australia’s competition regulator has reversed course and cleared Virgin Australia/Virgin Australia Regional Airlines (VARA) and Alliance Airlines to work together in the charter and fly-in/fly-out (FIFO) market. The two carriers’ charter alliance involves joint tendering for corporate FIFO contracts, as well as cooperating on aircraft maintenance, procurement of aircraft and parts, parts pooling, airport operations, airport handling, check-in, frequent flyer programs, lounge access, scheduling, pricing, sales and marketing and service policies. 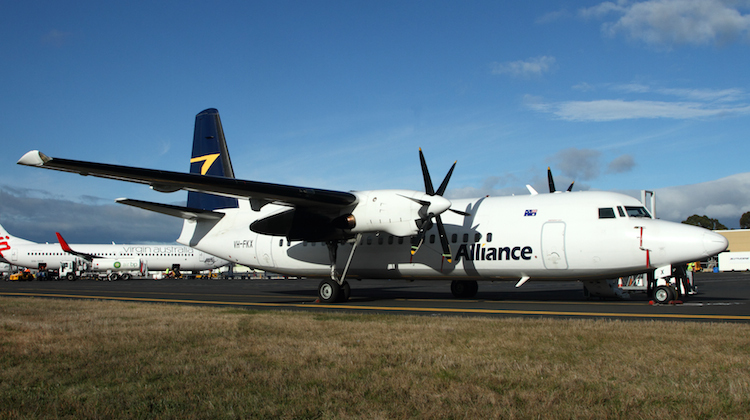 Virgin and Alliance had argued the tie-up would benefit charter customers through operational efficiencies, the increased flexibility and optimisation of aircraft utilisation through combining their fleets, and the bringing together of VARA’s (Virgin Australia’s) national regular public transport (RPT) network with Alliance Airlines’ national charter network. The Australian Competition and Consumer Commission (ACCC) knocked back the alliance in a draft decision published in December 2016, citing concerns the tie-up would reduce the number of players in the market. In January, Virgin and Alliance submitted new information urging the ACCC to reconsider. The ACCC was ultimately persuaded. On Thursday the competition watchdog said further inquiries with industry following the draft determination had raised a “number of factors that mitigate the risk to competition” and it was now satisfied that the likely public benefits of the alliance outweighed the likely public detriments. “The operational synergies which are likely to result from the charter alliance and bringing together VARA and Alliance Airlines’ complementary networks should reduce their costs and allow them to make more competitive offers to customers,” ACCC commissioner Roger Featherston said in a statement. “Further, many of the larger FIFO customers are sophisticated and well-resourced companies with procurement expertise who have strong bargaining power in their negotiations with FIFO operators. In their application to the ACCC lodged in August 2016, Virgin and Alliance said their proposed charter alliance would allow them to compete more effectively against the “one-stop shop” offering from Qantas. Australia’s major domestic carriers have all been affected by the end of the so-called mining boom, which had resulted in reduced demand for FIFO workers and left excess charter capacity in the market. Lower commodities prices has also prompted corporate clients to seek better deals amid a more competitive charter market. Indeed figures from the Bureau of Infrastructure, Transport and Regional Economics (BITRE) showed Australia’s charter market declined for a second straight year in calendar 2016. The annual domestic aviation activity report showed there were 2.41 million domestic charter passengers on fixed-wing aircraft in calendar 2016, down 8.1 per cent from 2.63 million in the prior corresponding period. Meanwhile, there was an even steeper reduction in the number of charter aircraft trips in 2016, which fell 12.6 per cent to 44,812, from 51,247 previously. It was the second straight year of weakening charter activity, following a 1.3 per cent drop in passenger numbers and 6.9 per cent reduction in trips in calendar 2015. The ACCC noted that Virgin had no aircraft for its charter services with fewer than 100 seats, while the Alliance fleet did not feature aircraft with more than 100 seats. The combination of the two fleets would offer a broader mix of aircraft to charter customers and is “likely to enhance their service offering”. “Some acquirers of FIFO services the ACCC spoke to as part of its market inquiries indicated that they considered that this would be one of the main ways in which they would benefit from the charter alliance,” the ACCC said in its determination. And although both carriers had overlapping operations in Western Australia, the ACCC said the pair’s services elsewhere in the country were “largely complementary” given Virgin’s strong RPT presence and small charter footprint in contrast to Alliance’s extensive charter services and minimal RPT network. “The charter alliance therefore provides an opportunity for the applicants to offer substantially more extensive integrated charter and RPT services than either airline could offer absent the alliance,” the ACCC said. The alliance does not cover charter and/or RPT services supplied under contract to government customers, charter brokers and ad-hoc charter customers on a standalone basis. The ACCC has approved the alliance for a five-year period until June 9 2022. Virgin Australia are deserving of some good news and so hopefully this partnership will benefit shareholders in the long term. Hopefully this alliance will bring competition to the Toowoomba (Brisbane West Wellcamp Airport) RPT market. We Toowoomba people l9ve we have a fully jet capable airport now, we are just looking for a bit of compation to bring down prices now. yes Alliance low cost 80 or 100 seater Fokker jets would be perfect for Wellcamp to Sydney. Much better than a Qantaslink turboprop.